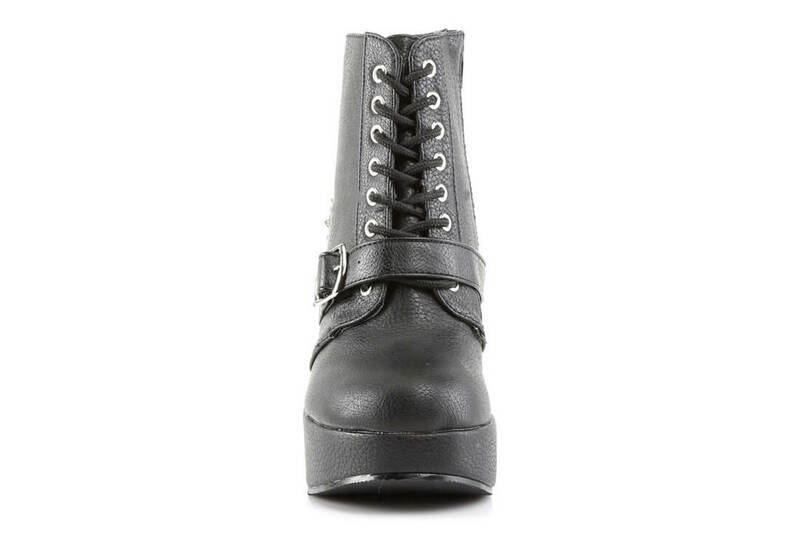 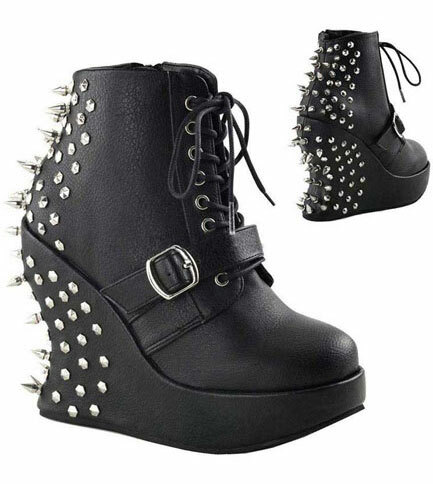 These fantastic looking shoes have a 5 inch platform wedge, lace-up front with a single buckle strap. 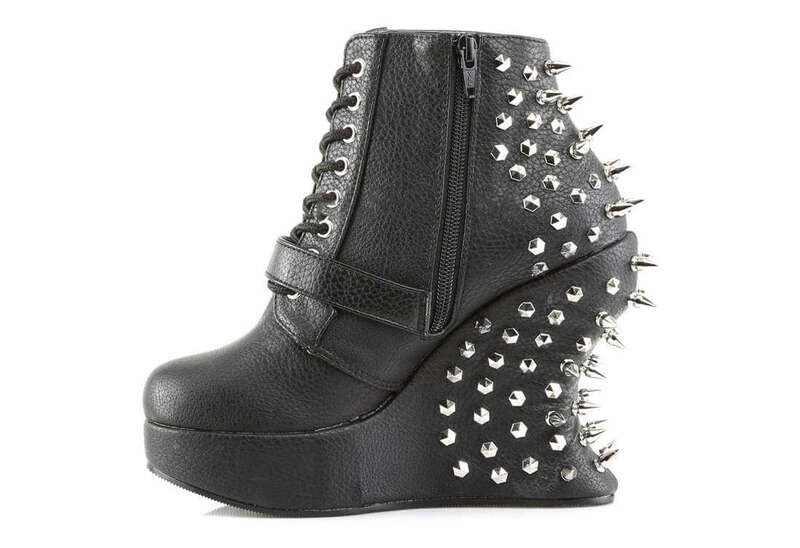 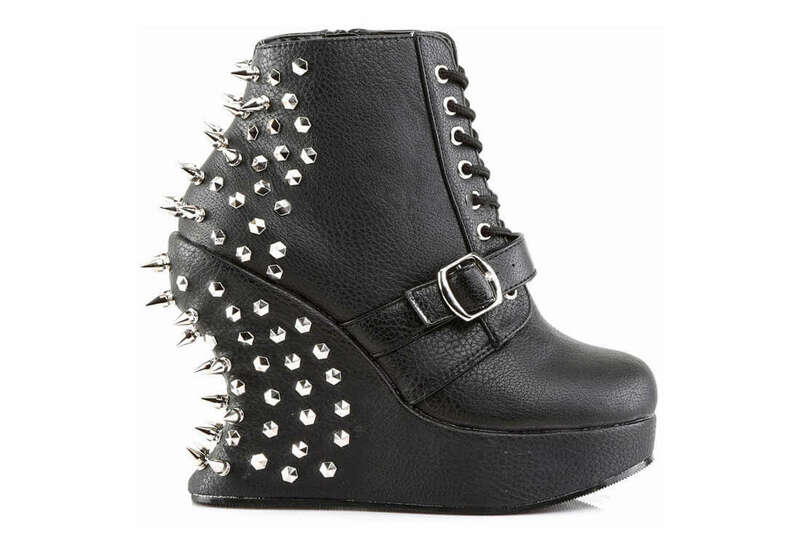 The back of the shoes are covered in spikes and hexagon studs. 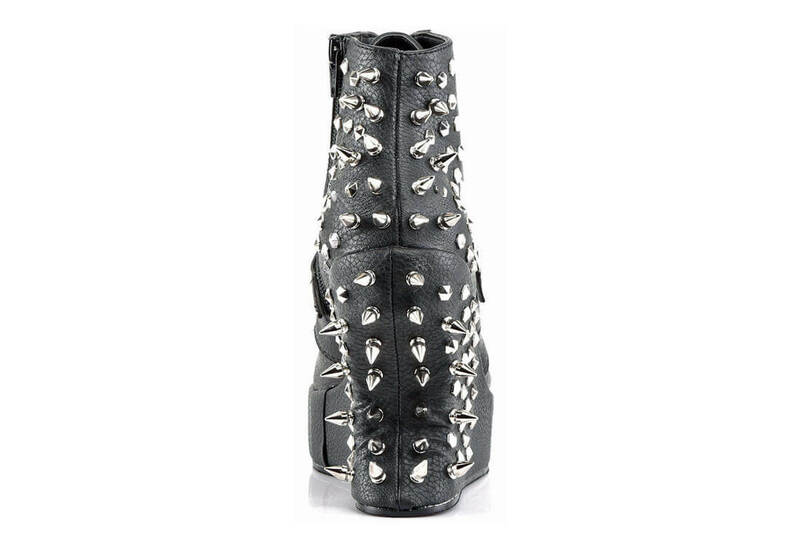 The side has a full inner zipper for easy on and off.